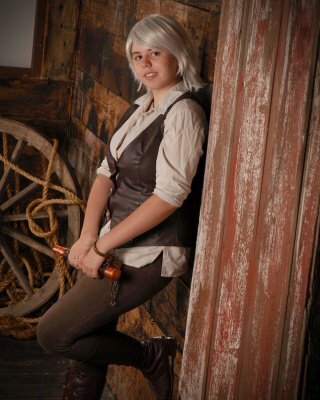 We’ve been building on several Steampunk outfits for several years now for Kayle. She has her brown outfit and her new Steampunk gown. Most of the brown outfit is re-purposed from resale shops. The vest (cussing not included) was made from pleather. Kayle made her lightsaber for a Tech Theater class when she was in high school. Yes, this is one of her senior pictures! Her next Steampunk is made from Simplicity 1819, released early Spring 2012. 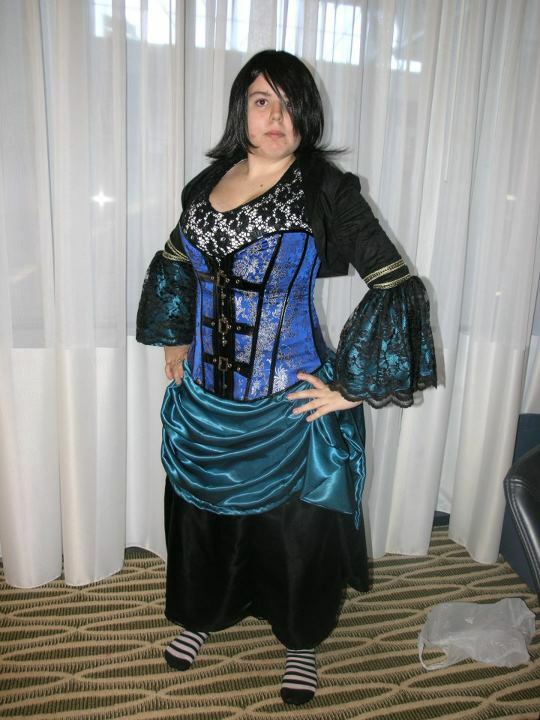 She wore it the first time to a Steampunk Tea, a DFW Costumers Guild event in Plano. We bought the satin at Golden d’Or in Dallas, the knit for the shirt and the microsuede and lace for the bolero from Hancock’s and the corset came from ebay. Chelsea, it did for the most part. 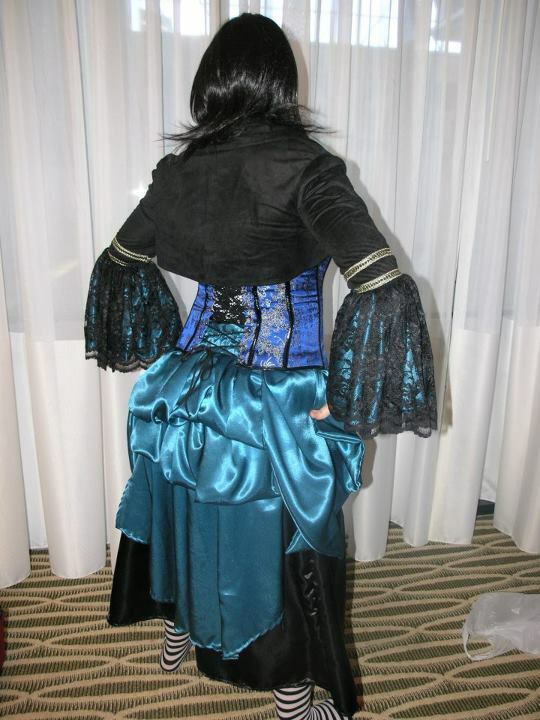 I will say that the bolero fits MUCH better when a corset is worn. I’ve had the same experience with commercial patterns & I usually check the fit of the pattern before cutting out. Most of my issue with this Simplicity pattern was the waistband. It’s odd to begin with. I ended up doing separate waistbands that went completely around her waist for both the skirt and flounce. Excellent thank you 🙂 Its very frustrating when you try to make a size 16 because the measurements are right and then it ends up being 3 sizes to big! Oh and I love the colours your picked! If you have a body double, you may want to use it for fitting. If not, they’re easy to make. Google duct tape dummy.